Conductivity meter CT-3031-Conductivity Meter Series-PH meter, electronic salinometer, industrial pH meter, pen pH meter, pH electrode, pH controller, pen type conductance - Shenzhen kedida Electronics Co., Ltd.
2 Products:CT-3031 Pen conductivity meter is a precision instrument used in the test solution mS value. MS value and the temperature is displayed at the same time. Its stable performance, full-featured, easy to operate and so on. Making it the field and laboratory testing and control of enterprises and institutions mS value best choice. Widely used in the monitoring of the chemical, pharmaceutical, electronics, food and other industries. Ke Dida electronics to the latest technology, the lowest prices, quality service to meet customers from all walks of life. 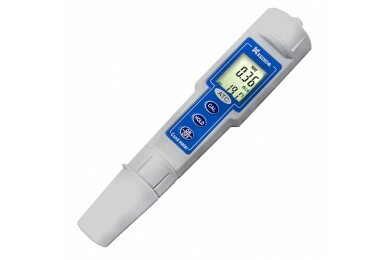 3 Product Features:CT-3031 pen conductivity meter using a microcontroller, LCD display, automatic temperature compensation and temperature display function, a little correction. Electrode integrated digital pen conductance, and the electrode can be replaced, waterproof shell.